This an extremely exciting month for the Santiago Writers. Two of our writers have publications coming out in December. Today we are having a discussion with Charmaine Pauls, who has contributed stories to two anthologies this holiday season. In Frozen a Winter Anthology, Charmaine gives us the romantic comedy The Ice Hotel Wedding Test, in which Jess gives Derrick an ultimatum, and Derrick proposes a most bizarre test to decide their destiny. In A Holiday to Remember, Charmaine gives us the Grayton Christmas Supper Contest. Nobody truly knows what happened the Christmas of 1910 in the small town of Grayton, South Africa. What is for sure is that people until today are still talking about the scandalous event that grew into one of the country's biggest annual food festivals! Ever since discovering the mystery of stories and the magic of books in our dusty school library, I knew I wanted to write. I won my first essay contest at the age of nine. My prize money was R2 (18c of a dollar today), and I spent it on bubble bath that came in a bottle shaped like Santa Claus. Between then and now I’ve never stopped writing. My professional career always required extensive writing, but it’s only since the last four years that I have written creatively full-time. I have a weakness for unrequited love stories and classics such as Wuthering Heights, The Hunchback of Notre Dame, and Dracula. I write sweet, sensual and sizzling hot romance novels, and balance those with dark, psychological short stories. Reading. Whenever I pick up a good book, I’m motivated to write when I turn the last page. My plots are inspired by emotional triggers, big or small, by events or people who touch me in a profound way. When did you first realize that you were a writer? I always knew I wanted to write. At some point in the struggle of holding a job and paying the bills, I almost gave up on my dream, but today I’m glad I persevered. I’m a diligent writer who writes at least four weekdays from 9 am to 1 pm. Weekends are family time. No matter if I feel inspired or not, I sit down at my desk and type away. As I have my creative peak in the early morning, I save that time for just getting the story down on paper. In the evening, when I experience a slump in energy, I edit from 9 pm to 11 pm. One morning a week is dedicated to creative recharging, whether that means having a coffee with a friend, taking a walk, or visiting an art exhibition. My brother’s art teacher always told him that environment is very important for creating, and, remembering his wise words, I have set up a special, sacred room that is quiet, and in which I feel calm and stimulated. Whenever I walk into my study and sit among my favorite books and objects, I’m emerged in a special ambience that feeds my imaginary muse. Which is your favorite of all the stories you’ve written? Pyromancist. This book is the first of an eight-part paranormal romance series due in March 2015. It’s dark, it’s hot, it’s magic, it’s fantasy, it’s gothic and it's esoteric - all rolled into one. It’s like the juiciest hamburger on the menu with all the toppings. What do you try to communicate with your writing? One of my reoccurring themes is balance. I’m fascinated by opposites and how they complement (and need) each other. I use a lot of yin-yang, black-white, day-night, sun-moon, good-bad, etc. in my stories. Even my titles reflect this quest for finding the whole in two halves. My first novel is titled Between Yesterday & Tomorrow. The central theme of the book is living in the present, instead of in the past, or the future. My second novel, Between Fire & Ice, a futuristic romance that plays off in Chile, showcases personalities attributed to the sun and the moon, the desert and the glaciers, the fire and the ice. Even the protagonists’ names reflect the theme, Elena meaning moon, and Cy (short for Ciro), sun. What is your advice to aspiring writers for getting published? Determination and perseverance. With a bit of talent and a lot of hard work, you can make it. Invest a good deal of time researching publishing houses, to decide to which house your work is best suited. The mistake I did with my first book, was trying to submit to everyone. With my second book, I chose 3 publishers that printed the kind of books I wrote, and customized my query letter and submission to each house’s style. The research took a lot longer than drafting the actual submissions, but the effort paid off. Two of the publishers I had submitted to, offered me a contract three months later, and I went with my first choice. What is the best advice you ever had about writing? Aside from the classics, I’d have to say Lora Leigh for her Breed series. She has a talent for writing thriller and paranormal into romance. Every single one of her opening sentences has always hooked me, in all thirty of her breed series books. If you could go anywhere in the world on holiday, what would your destination be? Turkey. Or Morocco. No, wait! I’d really like to take a flip in a space shuttle to the moon. I loooooove to fly. You can purchase Frozen A Winter Anthology here. You can purchase A Holiday to Remember here. This is an extremely exciting month for the Santiago Writers. Two of our writers have publications coming out in December! Today we are proudly showcasing Charmaine Pauls, who has contributed stories to two anthologies this holiday season. 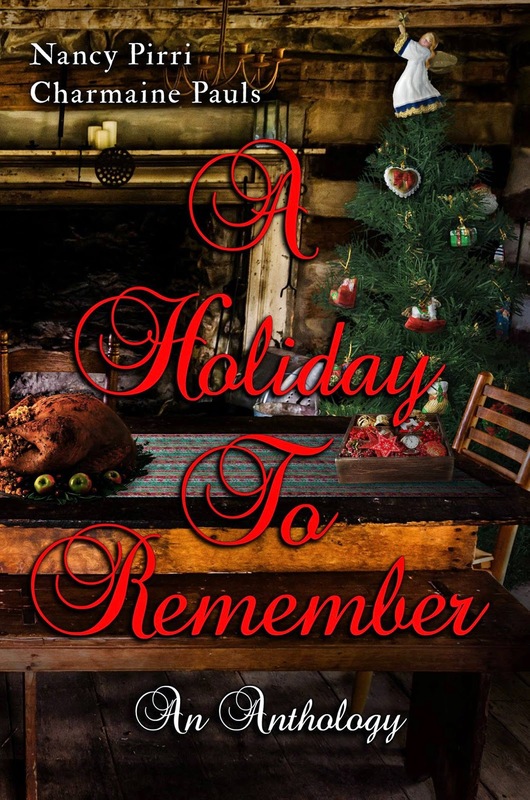 In the Christmas anthology A Holiday to Remember, Charmaine gives us the Grayton Christmas Supper Contest. Nobody truly knows what happened the Christmas of 1910 in the small town of Grayton, South Africa, but what is for sure is that people until today are still talking about the scandalous event that grew into one of the country's biggest annual food festivals! Any animal that needed to be slaughtered for the Christmas supper had to be killed the day before Christmas, as no work was permitted on the day. Susanna knew that Gertjie was sharpening her knife, even as she, Susanna, was washing the blood of her processed springbok from her hands. She prepared a marinade of cumin seeds, crushed peppercorns, coarse salt and vinegar, and laid the meat inside to prevent it from rotting. Dirk wouldn’t be home for the night. The men were digging the two graves around the clock now, taking shifts with the lanterns. It was as if God had sent her a sign. If there was one thing Susanna knew, it was a sign when she saw one. With the springbok meat soaking, she pulled her shawl around her shoulders and walked to the farmworkers’ houses on the hill. “Janneman!” she called from afar. “Houwk, Ouma.” He looked at the sky. “The day is gone." “Bring a lantern, and fetch me the rifle, just in case we come across a lion or hyena." The white of his eyes were big in the darkening day. “Yes, Ouma." An hour later Susanna scoffed and swore as her weary legs battled down the steep side of the mountain. God would surely reward her for her good work. She was an obedient disciple. Janneman walked in front with the lantern and the rifle. He said nothing, but glanced at her from time to time over his shoulder, his wrinkled face lined with worry. When Gertjie’s farmhouse came into sight, Susanna took the rifle and lantern from Janneman and put out the light. She steered them around the back, from where the henhouse and the animal enclosures were visible. She motioned for Janneman to lie behind a rock, while she lowered herself to her stomach and studied the surroundings in the moonlight. God had sent her a full moon. The yard was quiet. Nobody moved around. Gertjie was alone, her menfolk digging in town. She jabbed Janneman in the ribs with her elbow. “See the pigsty?" Janneman stared at her with owl eyes. “What’s this now, Ouma?" “Are you deaf, man?” she whispered. “Don’t make a sound, or Gertjie may get a fright and shoot you." “No, Ouma, this is not a good idea." "Do you want a hiding? Go. Quickly. Make sure the pig gets out.” When a trembling Janneman got to his feet and shuffled down the hill, Susanna called softly after him, “The fat one.” Susanna held her breath while Janneman tiptoed across the yard. Any minute now, the dogs were going to wake, but she was ready. The moment the boerboel lifted his head, she threw her chunk of meat. The big dog turned his yellow head in the direction of the thump, and got to his feet, his nose on the ground. The other mongrels followed. More pieces of meat flew through the air. By now, Janneman had reached his target, and lifted the hatch to swing open the gate. He crouched next to the liberated exit, but the pigs didn’t move. “Come on, come on,” Susanna mumbled, her eyes trained on the dogs. She projected another morsel through the air, leading them farther away from the house. Janneman moved inside the pigsty. She could see him through the mesh, coaxing the slaughter pig. But the pig was overweight and lazy, and happy in his confinement where the food was plentiful and good. Janneman pushed, putting his full weight behind the pink bottom. His feet slipped in the mud as he exerted himself, but the pig didn’t budge. The meat ration was almost finished, and Susanna had gotten the dogs away as far as her throw could reach. She offered the last sacrifice and watched as it was gobbled up. Janneman was back to back with the pig now, his feet digging into the earth as he huffed and puffed, but all for nothing. The pig gave a distressed squeal, and at that, the dogs twitched their ears and turned their noses to the wind. “Oi, oi.” Susanna picked up a rock. Susanna threw the rock, but instead of hitting the boerboel who was leading the pack, it knocked the pig between the eyes. With a grunt and a buck, he shot forward, almost trampling the dogs. A light came on in the kitchen window, but by now, Janneman had clambered over the fence and was running as fast as his legs would carry him into the rocky part of the hill. When the dogs spotted him, they made a beeline, heading hard on his heels. Susanna had a difficult time dividing her attention between Janneman and the pig. The one was heading into the mountain, and the other down the valley, toward the ostrich camps and the elephant path. Seeing that the dogs were catching up with Janneman, Susanna loaded the rifle. If Janneman was caught, Susanna may as well burn ‘guilty’ onto her forehead with a cattle branding iron. She aimed for somewhere between the dogs and Janneman, pinched her eyes shut, and fired. The shot rang loud through the valley. The dogs braked, yelped, and turned back for the yard. “You devils!” Gertjie shouted into the night, standing on the stoep with a lantern in one hand and a pellet gun in the other. “I’ll kill you all!" Another shot echoed in the dark. This time the bullet didn’t come from Susanna’s gun. If there was one thing Susanna knew, it was trouble when she heard it. The Grayton Christmas Supper Contest is a part of the Christmas anthology A Holiday to Remember. You can purchase A Holiday to Remember here. Charmaine was born in Bloemfontein, South Africa. 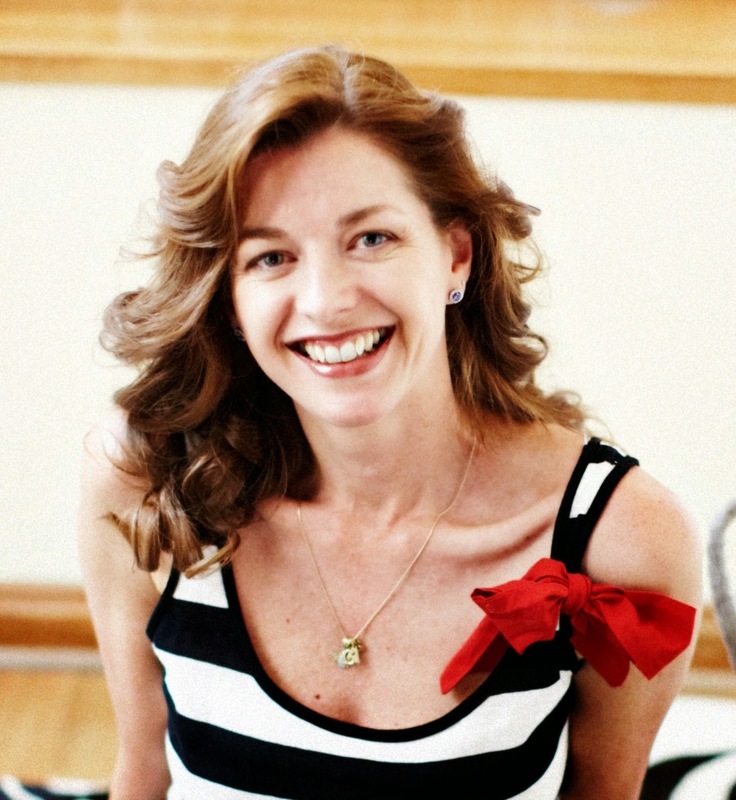 She obtained a masters degree in Communication at the University of Potchestroom, and followed a diverse career path in journalism, public relations, advertising, communications, photography, graphic design, and brand marketing. Her writing has always been an integral part of her professions. After relocating to France with her French husband, she fulfilled her passion to write creatively full-time. Charmaine has published 5 novels since 2011, as well as several short stories and articles. In Frozen, a Winter Anthology, Charmaine gives us the romantic comedy The Ice Hotel Wedding Test, in which Jess gives Derrick an ultimatum, and Derrick proposes a most bizarre test to decide their destiny. Jess studied Derrick sideways from the deckchair on his veranda. Her boyfriend of twelve years had his eyes closed, his head tilted to the setting sun. A brush cut left dark stubble on his scalp, matching his weekend beard. As always, the weekend had ended too soon. It was almost time to head back to her Johannesburg flat. She dreaded the four hundred miles she drove every weekend to the game lodge near White River where Derrick was a ranger. This conversation wasn’t new. Jess knew exactly how it would play out. She was going to give him all the reasons why she wanted to settle down, and he was going to counter argue that he wasn’t quite there yet. Whatever there was supposed to mean. The truth was, she was tired of the commuting, of living apart and of hoping. Jess loved children. She was long since ready for her own. Attending her friends’ babies’ baptisms and anniversary parties left her aching for that missing part of her life. A new rebelliousness rose inside of her. Maybe it was desperation sprouting from the ticking of her biological clock. How she hated that clichéd expression. Jess tried to bite her tongue, but it had a will of its own. “I won’t wait forever,” she said finally. This was no new dispute either. Derrick was an adventure junkie, an outdoor explorer. She was a city girl. And he hated that about her. Jess regarded him quietly. The argument was as worn out as a hollow mattress. Enough. She had allowed him to keep her on a string for too long. Either he used that string to tie her to him, or they were going to cut it. Today. Derrick was a black and white kind of guy. He never did anything on impulse, and he only believed in what he could see or what could be proved. “But why Lapland?” she said. She couldn’t say the idea didn’t fascinate her. Being born and bred in Africa, the only snow she’d ever seen were the pictures her aunt had sent from Canada. “More like a test.” He supported his elbows on the rail." could it be doing it in snow? If Derrick needed this silly test to convince himself, to overcome his unfounded fear of tying the knot, she’d give him that. The Ice Hotel Wedding Test is published in the Frozen A Winter Anthology. 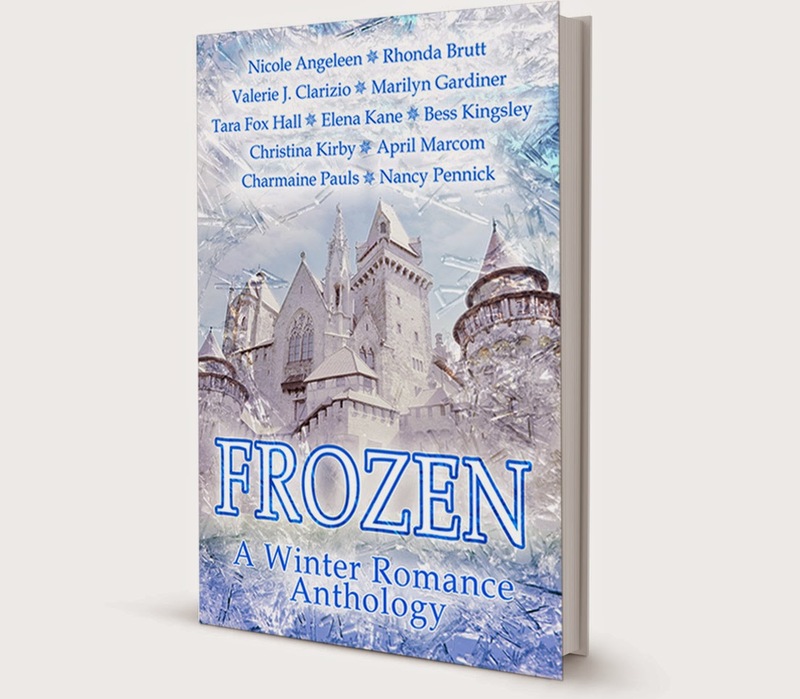 You can purchase Frozen A Winter Anthology here. Read more about Charmaine’s romance novels and psychological short stories at www.charmainepauls.com. December is an extremely exciting month for the Santiago Writers, with two of our writers releasing publications! 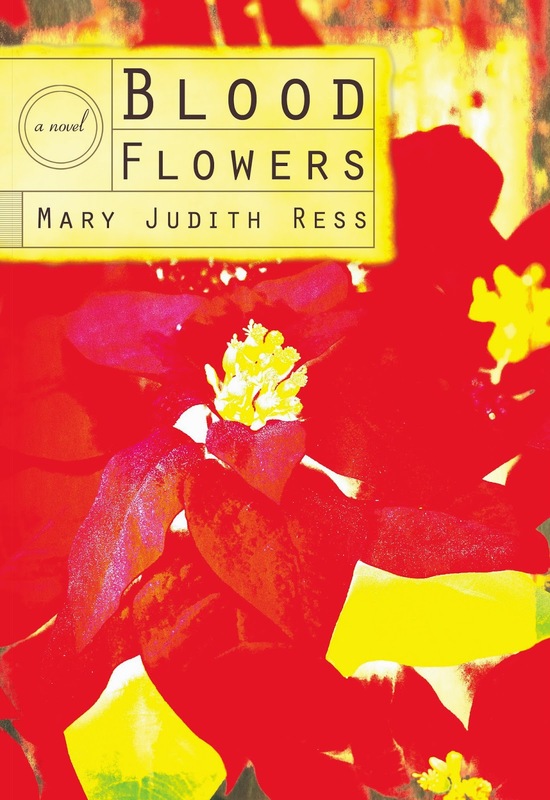 Today we are proudly showcasing Mary Judith Ress and her novel Blood Flowers. December 2, 1980: a warm, sunny day in Santiago, and a phone call from the Maryknoll Sisters Center House in New York. It wasn’t a false alarm. The next day the bodies of the four church women were found buried in a shallow grave on an off-beat dirt road close to El Salvador’s Ilopongo airport. They had been raped before being shot. They were Sister Ita Ford, Sister Maura Clarke, Cleveland Missioners Ursuline Sister Dorothy Kazel and Lay Missionary Jeanne Donovan. I had been a member of the Cleveland Mission team from 1970-72. Sister Dorothy had Been my replacement. I also knew Ita. On my arrival in Chile in 1977, I had gone to visit her and the other Maryknoll sisters living in the población of La Bandera to learn about the work they were doing. Ita was as thin as a rail and smoked constantly. The last time I saw her was in Santiago’s cathedral in March, 1980 at the Mass for El Salvador’s martyred Archbishop Romero. Ita and her sidekick Sister Carla Piette had been recruited by Romero. He had wanted seasoned missioners who could protect his people by their presence among them. “Are you still going?” I asked her. There but for you go I. These women’s lives still haunt me. While I wrote Blood Flowers, I felt them urging me to tell for them the complex, riveting stories of their lives. I wanted more than that. I wanted to tell the larger story of what motivated a whole generation of nuns to travel to Latin American and work among the poor. They are indeed unsung heroines, but not without their foibles, their political naivety, their struggles with their vow of chastity, their vulnerability….. In many ways, Blood Flowers contains a large dose of self-revelation. I too worked in El Salvador as a nun: I too lived and worked in Santiago’s poblaciones during the Pinochet dictatorship. Later, as a journalist covering Latin American affairs in the 1980s, I interviewed many “Megs” as well as her Salvadoran and Chilean compañeros. Many readers will think that my heroine, Sister Meg is intended to be myself, but I am also Theo and Queen Mum and Molly and Tere and Raul and Paulina and Rutilio - even Monseñor Romero. The wonderful thing about writing a novel is that you live inside your characters, and you come to love them all. I’ve worn many hats in my long life: Teacher, social worker, community organizer, economist—not to mention nun, missionary, wife, mother and granny. My last hat: ecofeminist theologian! Theology and philosophy have a way of dumping non sequiturs on unsuspicious bystanders—who, like you—couldn’t care less. If I can get you to fall in love with my characters, feel with them, make you giggle and weep with them—well then, I’ve expanded your heart and in some small way, contributed to making us more human more part of the Great Heart of the Universe. Mary Judith Ress is a journalist and editor who has been living and working in Latin America since 1970. Her non-fiction work Ecofeminism in Latin America (Orbis books, 2007) won second place in “Best Gender Issues”at the Catholic Press Association in 2007. She has two grown sons and lives in Santiago, Chile. Blood Flowers can be purchased through amazon.com here. December is an extremely exciting month for the Santiago Writers, with two of our writers releasing publications! Today we are proudly showcasing Mary Judith Ress and Flores de Sangre, the Spanish-language edition of her novel Blood Flowers. She pulled out the only other photo—a snapshot of her team in La Bandera before the military coup. How thin and solemn they all looked. But then, they were all determined church workers set upon making Chile into a socialist state where the kingdom of God could get a good start ahead of most of the world. She and Molly now wore jeans and ponchos. Alfredo, with his black-as-coal beard and his pipe, looked for all the world like Che Guevara. José, also bearded, was a carbon copy Alfredo, only younger. Madre Rosa was a tiny, frail figure in her gray veil and green sweater. All except Rosa had their fists raised and their mouths in an open smile, because they were shouting presente for the photographer, who had come down from Newsweek to write about the election of their new socialist president, Salvador Allende. The seatbelt sign flashed on as the pilot announced their final approach to the Ilopango airport in San Salvador. She put this last photo away and hurriedly finished her letter to Kay. I've been reassigned to El Salvador. I guess the community thinks I need a change. But it's so hard to leave after everything that's happened. I'm weary unto death of all the killings and the violence. Must close now. The plane's about to land. Will write more later. Whether they are the Buddhist or Catholic variety, just keep the candles burning in earnest for me and for my dear Chile. 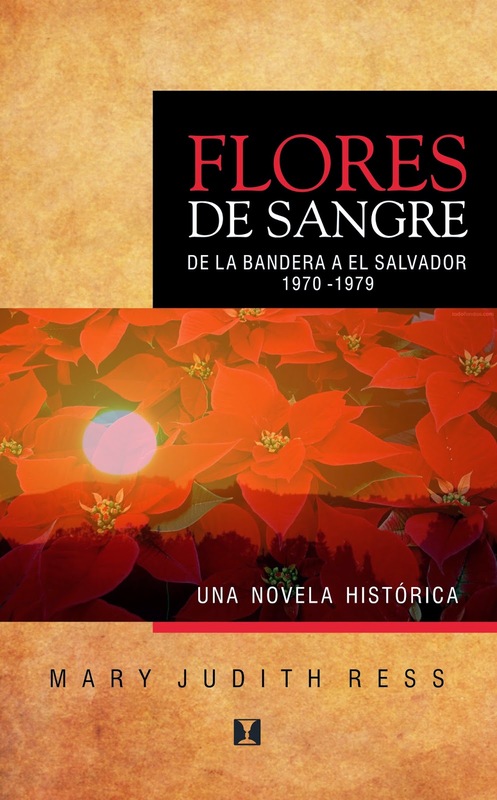 Blood Flowers, published in 2010, is set in Chile and El Salvador during the tumultuous seventies. In 1969, Sister Meg Carney is fresh out of the Novitiate and off to Chile as a missionary -just in time to witness the overthrow of the socialist government of Salvador Allende. In the aftermath of the brutal military coup, the priest she works with is murdered and she herself becomes the target of surveillance. Six years later, burned out and grieving over the loss of her compañero, Alfredo, Meg is no longer the young nun who had set out so enthusiastically to bring God’s word to the Chilean people. Accepting an invitation from her Mother Superior to work in El Salvador, the self-proclaimed savvy missionary finds herself face to face with an entirely different sort of revolt. As biblical reflection comes face to face with a Marxist revolution, Meg must balance her religious vocation to serve the poor with her own needs to find love and peace amid the rawness of life. 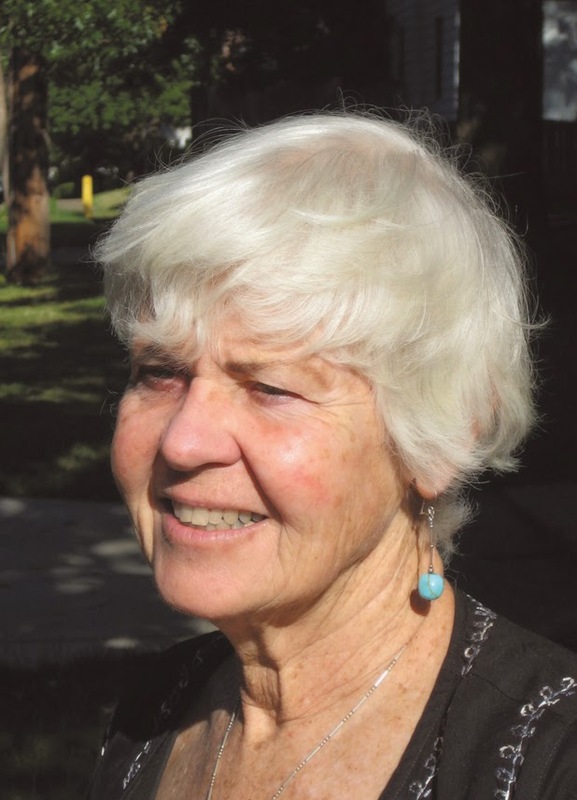 "What does a retired ecofeminist theologian do? The same thing she´s always done, just slower! Actually, my own searching has led me to promote anything that expands our consciousness, because I'm convinced that this is the evolutionary pressure our species is experiencing at this juncture. So I promote walking the labyrinth (we have one at my holistic health and spirituality center, Tremonhue in the Cajon de Maipo), shamanic ecstatic postures, biodance, mindfulness (Thich Nhat Hanh), circle dancing, Tai Chi/Chi Gung movements....anything that puts us into a more meditative state." Her non-fiction work Ecofeminism in Latin America (Orbis books, 2007) won second place in “Best Gender Issues” at the Catholic Press Association in 2007. She lives in Santiago, Chile, where she is writing her second novel, My Name is Francesco. 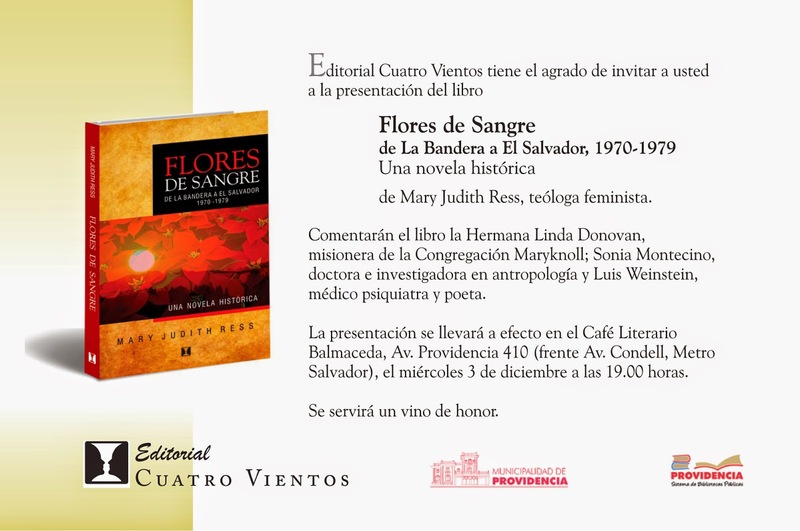 Flores de Sangre, the Spanish-language edition of Blood Flowers is being released on Wednesday Dec 3 at the Café Literario Balmaceda (Av Providencia 430, Santiago). Please join us for dancing, drinks and some really good words!